Everyone isn’t a master at banking, bookkeeping, accounting, and economics. We can all make mistakes that hurt our credit scores and ratings, without even knowing it. Here is a guide to what mistakes you might be making, in order for you to improve your credit score. Once you’ve paid off a credit card bill entirely, it is tempting to cancel the card to avoid getting another big bill again. Many people choose to close their accounts like this but what they don’t know is that they are actually hurting their own credit rating. This is because closing a card causes you to have lower available credit and available credit, along with the history of credit cards owned, both affect your credit rating. It is a much better decision to keep an old credit card open and avoid using it. When considering filing bankruptcy, many people find it tempting to put extra expenses on their credit cards, anticipating that the debt incurred in those expenses would be wiped out when filing bankruptcy. However, upon seeing that someone maxed out their credit cards right before bankruptcy, creditors can and will take measures against your bankruptcy in court. This can also lead to a judge rejecting your petition for bankruptcy, causing a much bigger financial crisis. It may sound really smart to have all of your gas expenses on one card and all grocery related expenses on the bill of another credit card. Unbeknownst to consumers is the fact that these cards come with extremely high interest rates. It is much better to go for Visa or MasterCard credit cards which have much lower interest rates. Moreover, having several accounts will adversely affect your credit score. Therefore, only apply for an additional credit account when you really need it. It isn’t easy to decline a request from someone close to you to cosign for him/her on any kind of loan. However, it isn’t commonly known that cosigning can result in pretty bad consequences for someone’s credit rating. Not only is your credit score under threat, you might even be liable to pay the loan if the person you cosigned with fails to pay. Calls asking for sensitive and private information such as credit card numbers or your social security number are scams looking to target vulnerable groups (such as the elderly). Calls like these are usually from criminals trying to use your personal information to steal your money. In the case that you ever fall victim to identity theft, it is best to report it to the police department and the Federal Trade Commission. Criminal activities through your card can badly hurt your credit score. Offers from credit card companies are rampant. According to statistics, there are billions of offers sent out by companies every year. Accepting these offers is neither a compulsion nor a wise decision. The solution is just to say no if you are ever targeted in a sales pitch. Ask to be removed from telemarketing lists and reject any offers from mortgage and credit card companies coming via email and phone. More credit means more hits taken to your credit rating. Accepting tempting offers can hurt your financial position through loans that take a lifetime to mature or plans that involve high interest rates. It is important for you to check credit reports at least once every year if you want to maintain a good credit score. Sometimes, a once a year check might not be enough so you should keep a routine check on how you use your credit card. If you are only making minimum payments, missing out on payments, or not thinking about how you will pay your bills when you are charging your card, you should halt your credit card use and seek professional help from a credit counseling nonprofit agency. 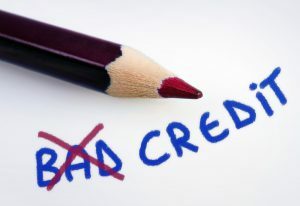 Many people who go through a personal crisis such as bankruptcy, foreclosure, or divorce end up with a bad credit rating. Falling for a credit repair scheme offering to quickly fix your credit score sounds like and is too good to be true. It is essential for you to be wary of firms that promise to fix your credit standing in order to avoid paying a high fee upfront and being subject to multiple hidden charges.